Terminal Bersepadu Selatan is a 24-hour integrated transit hub, providing travelers access to over 90 different destinations. The terminal is filled with shop lots to explore and food outlets to pass the time, while waiting for your departure. Travelers would find it easy navigating through its vast and prestined air-conditioned halls, given the useful signages available. Ticketing counters for numerous transportation systems are also available as well as spacious waiting areas. 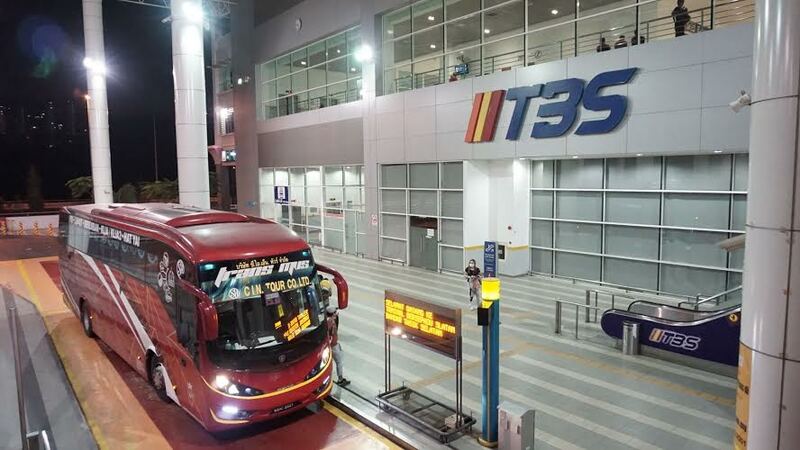 Nice, Konsortium, Intercity Coach and many other buses operate at Bandar Tasik Selatan, providing an array of routes to destinations such as Malacca, Ipoh, Singapore (Woodlands) and more. How to get to Terminal Bersepadu Selatan? Terminal Bersepadu Selatan is located next to Bandar Tasik Selatan, a transit hub that serves the LRT, KTM Komuter, ERL, MRT as well as RapidKL buses. It is accessible through the MRR2 highway and the Sungai Besi Expressway (SBE) making this terminal accessible via taxi, Grab and Uber. Through the LRT, passenger can board the Ampang line and disembark at Bandar Tasik Selatan and make their way on foot to this terminal. Passenger coming from KL Sentral or other stations from the Kelana Jaya line must also interchange to the Ampang line at Masjid Jamek to Bandar Tasik Selatan. KTM Komuter passengers can take the Seremban line whereas ERL travelers, a KLIA transit to said location. Passengers can also opt to board the monorail line to this transit hub as well, but will ultimately have to change to the LRT Ampang line to Bandar Tasik Selatan. MRT passengers must board a train to Muzium Negara station and interchange to the Kelana Jaya LRT line. They must then board the LRT from KL Sentral to Masjid Jamek and later another train along the Ampang line to Bandar Tasik Selatan. CatchThatBus provide users with the convenience of booking online bus tickets from buses operating at Terminal Bersepadu Selatan. These buses provide daily trips to and from Terminal Bersepadu Selatan to numerous destinations. You can book your bus ticket online from our website or via mobile app which can be downloaded for free on Google Play or App Store.